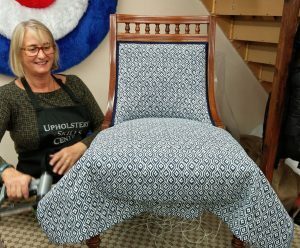 It is ideal if you would like to learn and develop your traditional and modern upholstery skills, for example webbing, stuffing & stitching, tying in springs or deep buttoning. 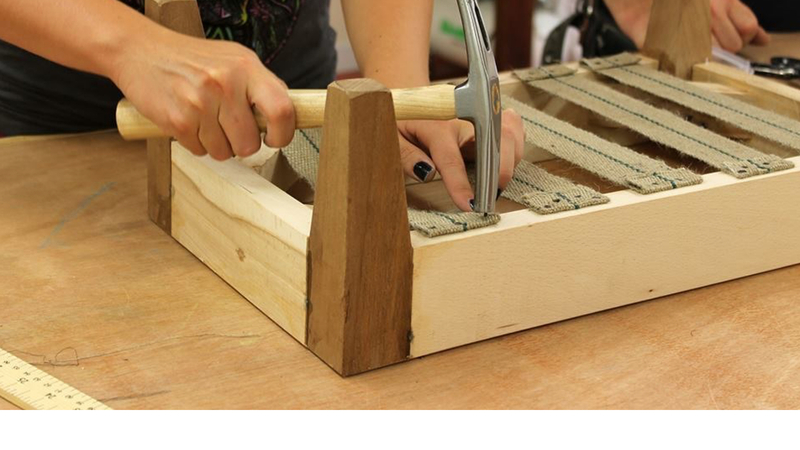 You may choose to reupholster your own small chair - an occasional, bedroom or hall chair - or make your own footstool or buttoned headboard. Each day starts at 9.30am and finishes at 4.30pm. This course runs Mondays to Fridays and you can choose your days. Course fees: £375 + VAT = £450.